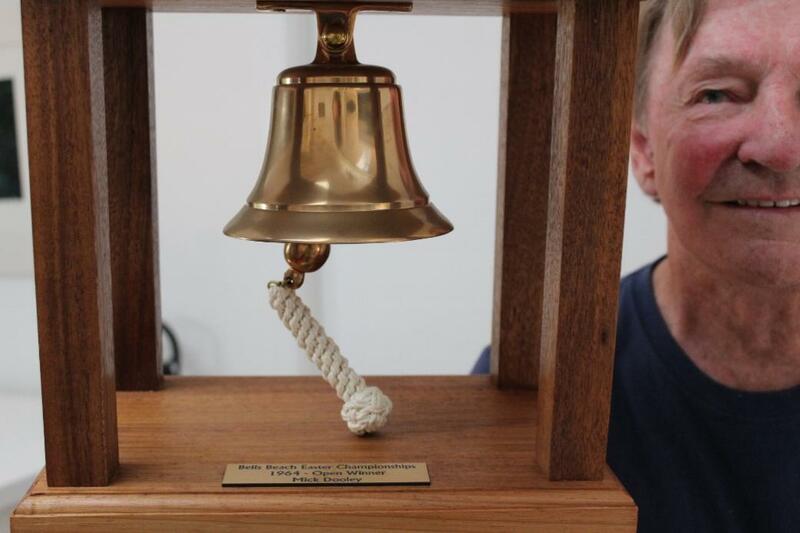 Mick with his Bell's Beach Bell - You Have To Win It To Ring It! There are legends among us in Pittwater, people who have been at the forefront of changes in lifestyle, in products and in the introduction of revolutions that now are embraced by a very high percentage of us. So....We're super Stoked this week to be bringing you a small insight into an Australian legend and Pittwater resident in the 1964 Bell's winner, when it was still the Bell's Beach Easter Rally, and the gentleman who won the 1962 Metropolitan Championship at Bondi and was in the water, and finals, not on the beach, in the 1964 World Championships at Manly. COWABUNGA! And Over the Falls, and into this Profile of the Week page you go! In November 1941 in Adelaide. I don’t think many people would know that. My parents then moved to Sydney when I was only a baby. I know, for instance, when the Japanese bombed Bondi we were in Bondi then. There was bombs shells landing near our house. My mother told me I was not even 1 then and she placed me under the bed or under the table when they were landing in the road. So glad they missed! Did you grow up in Bondi? Pretty well, until I was about 17 or 18. What schools were you attending? I went to boarding schools 99% of the time, which I didn’t like, at Bowral. One was Our Lady of the Sacred Heart primary school and then I went to Chevalier College, both as a boarder. I didn’t like boarding school. You didn’t get to see Bowral because you were locked up all the time. On visiting days, when your parents could come and visit, which wasn’t that often, maybe once every month or six weeks, we’d go down to Bowral and have lunch, that was about it. A friend of mine, that I never knew at school, he was in a higher class; we were playing tennis here in Careel Bay, and this subject about school came up – school. It turns out he went to the same school. He said ‘I ran away – and I got as far as the train station and they caught me because I was still in my uniform’. Let’s talk about Jack ‘Bluey’ Mayes – did he introduce you to surfing? No, he didn’t. Someone else introduced me to surfing. But after I joined South Bondi Boardriders Club he was a big influence on me and my surfing. He would say ‘try this, do that’ in as far as style and performance and so forth. He wasn’t the only one; any of the older senior surfers would encourage the younger guys to try stuff and do stuff. Today you can’t tell a young person how to surf; they know it, they’re telling you – some of them tell me where to go! 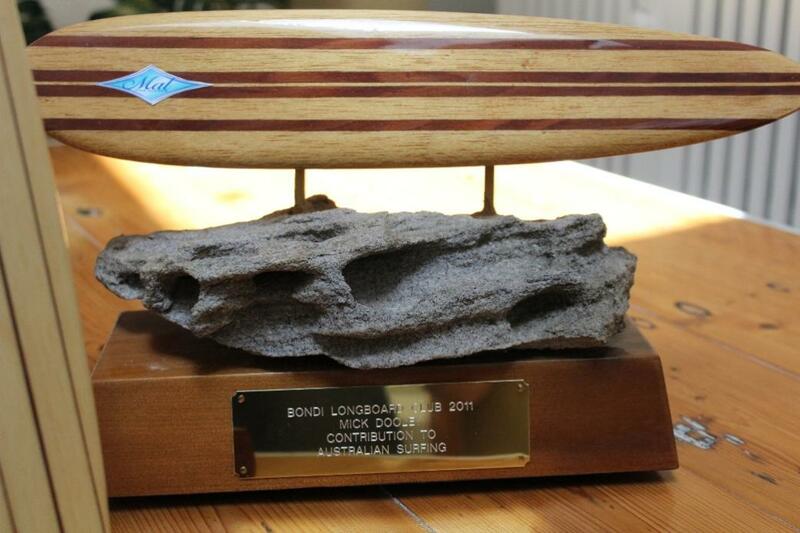 When did you join South Bondi Boardriders? When I started surfing. Now I started surfing when I was around 17 to 18. I didn’t even go to the beach until then. When I started, the only people I knew were in that club. I liked riding boards, so I joined that club. We were surfing at south Bondi. It was one like that one on the wall, a wooden one – they’re called Ockanui (Ocka meaning 'Australia' and 'Nui' is 'new' in Hawaiian). These were copies, in ply, of the American balsa boards that a group of Americans bought out in 1956 during the Olympics and the Surf life Saving Carnival that ran in Victoria. I wasn’t surfing in ’56; I knew the Olympics was on, but I wasn’t at the beach then, not until ’57 or ’58. How did you end up at the Australian Invitational Championships in 1963 and winning Bells Beach in 1964 – what comes between 1957 and 1963? Bondi was fairly limited as to the type of wave it had. The north side had better waves of all kinds; places like Manly and Fairy Bower, so I came over this way. All over; Manly and other places – you’d spend six months at one place with one group of guys who were mates then you’d move somewhere else – it was bunches of guys sharing flats and hanging around together. Which was the first wave you surfed up here? Probably Manly, and then Ferry Bower, that was a good wave. At the time you were looking for shape, you’re not looking for anything else but shape. A two or three foot wave with shape is better than a 10 foot wave without shape. So that’s what we were looking for – shape. How did you end up on the Australian Team (for the World Championships)? I’d just previously won Bells Beach, in ’64, so the powers that be gave everybody that was some kind of a state champion or had done well a go. By the time they got to the quarter finals they had created an Australian team. We were then presented with our jackets. 1st World Championships, Manly Beach, NSW (May 16 and 17, 1964). Manly – what was it like that day and those days of the first World Championship? It was packed. The atmosphere was kind of nervous, it was so big. People were dressed differently in those days too, especially the men. They’d have suits on with a hat – not a straw hat, a proper hat; they were dressed up. That’s one marked change looking back now; we dressed differently then. There wasn’t that variety of clothing then. Today there’s all sorts of shorts and t-shirts – there wasn’t a lot of that then. I can remember when I was very young, my father mowing the lawn with a push mower, and he had his long grey pants on rolled up a couple of turns, white shirt, no tie – two minutes and he’d be ready for work! It wasn’t the right sort of gear for mowing the lawn, but that’s how people dressed. There were great old cars – it was a good era in its way, the technology wasn’t there, but a lot else was. There wasn’t the stress of today. What was it like surfing in the Australian Championship Comp. for you? I was pretty nervous. I can remember being a little bit apprehensive to try anything in case I fell off. I tried to make it smooth, choose my waves, not drop in on people, that sort of stuff, but I wasn’t very aggressive. If I had been maybe I could have done better. I’m happy to have been in it, really. 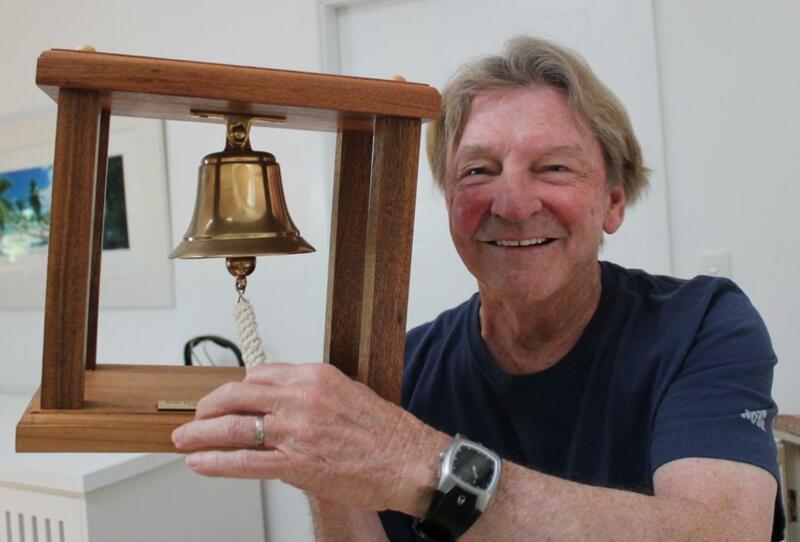 The winner of the first Bells, Glen Ritchie, who has just passed away a couple of months ago, I worked with him at Scott Dillon’s in Brookvale. He came back from Bells and told us about it. We were always looking for good shaped waves and he was raving about how good Bells is. It was pretty basic in those days; dirt roads and that kind of stuff. We didn’t mind that though, that was an adventure to us. Even to go up the North Coast and go down tracks and discover these beaches. So I went, he won it in ’62, another surfer Doug Andrew won it in ‘63 and I went in in ’64 and won it – so Glen talked me into that. What was the contest like – you hadn’t seen or surfed that wave? No. It was a big deal, it wasn’t like a little backwater contest; they were good at promoting and making it worthwhile. Rip Curl were heavily involved even prior to the name change in 1973. Torquay is a very surf orientated town, even then. I didn’t know how I’d go, had no idea. I remember the water was cold. I’m not sure I had a wetsuit then, but if I did it was very basic. The wave at Bells was very good. Yes – I went to Tasmania too, not too long after that with another guy, David Price, making a movie, and I found that water really cold. Bob Pike and I went down on the car ferry. I remember the wave across Bass Strait was huge – as a surfer I wasn’t prone to exaggerating – these waves were huge, over 25 foot swells. Nearly everyone was sick – I was sick, Bob Pike wasn’t. When you get off the other end the ground is still shifting under our feet for ages, you’re still on those waves. Where did you surf in Tassie? Down the East Coast; Shipsterns hadn’t been discovered yet then – Clifton may have been. They were good waves and it was early days for wetsuits, so you felt it. What was it that meant you were the winner at Bells? It was your peers and elders that decided that that guy is better than that guy. It’s not like a running race where it’s obvious. It was how you performed, what type of wave you chose, the length of your ride; that you didn’t just do a couple of moves and then got off, your style, your sportsmanship, the whole package. That’s all it was – there was a criteria for allocating points but I wasn’t thinking about that – you just surfed. Were you more of a soul surfer than a competitive surfer? I was a competitive surfer in those days and did very well competitively. I won the 1962 Metropolitan Championship at Bondi, which was resident surfers from Cronulla to Palm Beach. That wasn’t continued on. In 1963 I was second, the runner up in the Australian Invitational Championship. In 1964 I was runner-up in the Australian Championship and also won Bells Beach that year and was in the final of the World Championships at Manly – so I did well competitively for a short time as a competitor. 1963 Australian Invitational Championships - photo courtesy Jack and Dawn Eden - Left to right Mick, Bobby and Nat. When I was competing I think other people got more nervous than I did and tried to do more than I did and spoilt their whole performance. I tired to stay within my means and ability rather than try too much and stuff it up. You were hanging around with a crew that have become surfing legends to many of us – were you aware then you were at the forefront of something so big? No, of course not – there was no awareness of that. You did it for the enjoyment and because you really loved to do it – you loved it so much that you had a ‘sickie’ now and then - and went surfing! Who did you like surfing with the most? Good surfers, anyone that was good, which would push you to lift your game. You would see them doing stuff and that would inspire you to do stuff. That’s what occurs in most sports; you play with people that are better than you and you will improve if you want to. Before surfing I grew up in a tennis atmosphere. That’s right – let’s talk about your tennis.. there’s something there too.. I mean, they’re pretty good rumours, but I couldn’t live up to that! But I have played in the Australian Championships at White City and the Manly Lawn Tennis Championships – of course I didn’t win! Once again it was great just to be included. Before I was a teenager, my parents wanted me to do some sport. I started at Wellington Street, Bondi- which was a Club. I wasn’t a member of the club but could play there as my coach let me. My coach at the time was Don Ferguson. He was, I was told, a Davis Cup squad player in his youth. Bill Bowrey, the 1968 Australian Champion and Davis Cup player was coached by Don – these were all before professionalism, there were quite a few good players there; Ashley Cooper was another one, Roy Emerson was of that era as well – the more games you had with them, the more you improved. It was great. Before Bill Bowrey won my heroes were Ken Rosewell, Lew Hoad. Well, that fell away when I got a surfboard. That stopped for many years. I wasn’t totally obsessed with tennis, but I liked it because I felt I was getting better and better, so that pulls you in as well. It’s funny, I didn’t have the problems people learning have today – I just did it. I just took to it naturally, stood up. Geoff Searl says you’re a champion tennis player – still! I’m going to have to have a talk to Geoff…. Look, I’ve never been anyone to toot my own horn, that’s nice, but… I think other people probably have a higher opinion of my abilities than I have. Shaping Boards – where did you start this? At Brookvale. 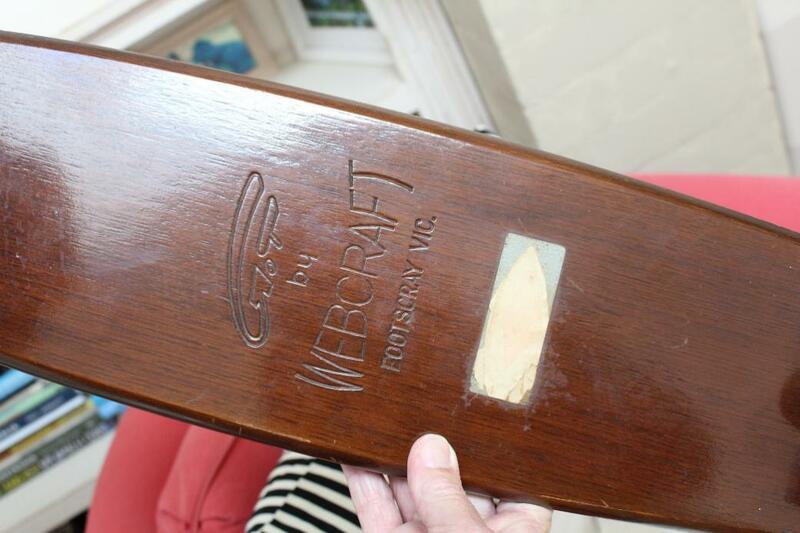 When I moved to Manly I got a job with Barry Bennett Surfboards – not shaping but I was in that team of manufacturing. It just went form there. It’s a piece work kind of business. After a while someone offers you a job to shape, and you think ‘yeah, I want to do that’, so I left Bennett’s and went to someone else – who was, in my case, Gordon Woods. I’m still friends with Gordon today, we have lunch regularly. And Denny Keogh – all those boys – they’re just great and it was a great era. I look back on it now and wonder where it’s gone – it’s gone so fast. So I started with Gordon and his shaper, Wally Edmonds, taught me to shape. He was a good shaper. Wally has since passed away. I was working for Gordon when I became runner-up Australian Champion and Scott Dillon offered me a job shaping, with better money and a better deal. So I went with him – it was easy to swap and change and jobs were easy to get then – there was a high demand for boards. Everybody moved around a bit then and that was good in one way for the industry because you all started to get a better idea of quality, the level of what you expected to do – it was a surfing community developing a product. There are a lot of finer details that give a different performance. But performance is only relative to the wave you’re riding. A good board with a good surfer will work well on a certain type of wave that that board is made for. I mean. They’ll work well on anything, but there are situations where that board will work better than another board. Is that why people have 14 boards – for 14 different waves? No, it’s because they can afford it! I only ever had two boards. There was a normal beach board and a semi-gun, that’s all I had and it took a while to get the semi-gun; I was trying to ride waves that were too big for the beach board. When you only had one board and would go to the Bower when the Bower was breaking and go out when it was, say 12 foot, well the board’s really not suited. You’d ride it but I wished I had something different. There were no leg ropes either in those days. So what makes a good board..
Well, there’s a whole lot of things; the rocker, there’s the width, length, the thickness of the rail. You can fine tune the rail to have more bite. If it’s thicker and rounder it’s more on top of the water rather than in the water. So varying these things you create a feel through your body of that. It’s like any sport at a higher level; you can feel things through your equipment. So a tennis player will feel that the strings aren’t tight enough or too loose or it’s the wrong type of string. There’s a multitude of things you can fine tune and finesse –you get better at doing it through that process. With a board, some people like a lot of rocker, some people don’t; they’re able to ride to their ability with the board they’ve got and enjoy that. There’s no one thing better than the other, like racing cars; they’re all different. I remember one of the V8 driver was talking to the management crew in the pits, he was due for a tyre change, said ‘I want the pressures one pound more’. Now one pound more; he could feel that. So that is so sensitive. So, it’s that’s sort of thing. Some guys like a rail that’s very round and chunky, others prefer it a little bit moire knifey, some like it a little lower, some like it 50-50 – it’s just a personal taste really and being able to produce that. Where has it all come from Mick- you’ve taken off with this Newell chap, caught your first wave – and that’s it – for decades!? I don’t know where it came from. I’m not wrapped up in the ocean like some, I can’t surf anymore. I didn’t get caught up in the whole 1960’s or 1970’s Hippie thing, never had any drugs. I just worked and surfed. But on that subject – I used to have a six pack – now it’s a keg! For me, it just naturally developed and I went with it and stuck at it – that’s all you have to do, stick at it and follow through. I suppose Bells would be one, Sunset Beach in Hawaii and Crescent Head. It’s their shape once again – the shape. I like right-hand point surf. Everything else kind of dominates what you’ve got to do, whereas a beautifully shaped right-hander point surf, like first point at Noosa, Crescent Head, Malibu (in California), because I’m a natural footer (left foot forward), you’re able to perform like a ballet dancer – you can do what you like because it allows you to. And you can pick and choose to go slow, to go fast, all that. You’re not dominated by a non-shaped wave. Do you have any favourite waves on the Northern Beaches? Well, their banks change all the time because they’re beaches – so you can get a good wave at North Avalon and then two weeks later you wouldn’t even paddle out because it’s just rubbish. When the bank has changed, the sand has changed on the ocean floor, and the swell direction is different, it changes the whole wave. I’ve had some really nice waves at North Avalon though. I’ve had some really nice waves at Dee Why Point; I’ve surfed that at 12 foot, it’s a nice wave but not a long ride – I can remember one day there in the early 1960’s when there was only 4 of us out – it was big swell, a good day. Rainbow Bay, I’ve had some really good waves there too. Greenmount Point – I lived up there for a little while. I went to Byron Bay – I’ve surfed Byron Bay all by myself – not a soul anywhere, not even a person walking on the sand. That was fantastic, now that I think about it – I hated it then though, I wanted someone to talk to. Now Wategos, tucked under the lighthouse at Byron, because I knew the locals, worked at the abattoir for a while, and one told me ‘they’ve just opened up Wategos, it’s for sale’ – they’d subdivided it - £600 a block. I said ‘who’d want to live all the way out here?’ and now I think ‘you idiot!’. Nowadays people talk about surfing trips to Byron Bay and it’s crowded, Clarkes Beach, the whole lot is crowded. If I had of built there I probably would have wanted to move by now. Why were you at Byron? I was moving around a lot then. I was on my own personal surfing safari. I went looking for some better surf. A friend of mine who now lives in Hawaii grew up in Lismore and he knew about Byron, said it was a really nice wave. He surfed, in fact he used to be a lifeguard at Manly, John ‘Wheels’ Williams. I’ve just met him again recently, he came out for his 81st. John arranged for me to sleep in the surf club, they had bunks there then. The locals hardly ever used it but would come from near and far during the season. That original surf club is no loner there, it was washed away in a big storm. It was then reconstructed in a safer spot. Then I got a job in the abattoir, and sure, there’s sharks out there where they used to pump all the blood out there but I was at The Pass, so a long way away from there. It used to be a whaling station before that (the abattoir). Wow – I wonder if there’s some ‘memory of sharks’ passed down through generations that has contributed to the problem there (with sharks and surfers)? It used to be a whaling station before it became the abattoirs – so, probably! They’d have that memory of that’s where they go to get a feed, certainly. The wreck is off First Sun caravan park just near there too – so that may have been a shark ground and there are still sharks there too. Where did you go from Byron? I went to Queensland then, to Greenmount and southern Coolangatta and worked around doing anything and everything just so I could surf. In 1960-1961 I started a surf school at Kirra Beach, perhaps the first surf school in Australia. It only lasted a season as we didn’t have the equipment available today. I used to surf with Peter Drouyn up there, who became Westerly Windina for a while, but has now gone back to Peter Drouyn. He was a great surfer. Greenmount was great, uncrowded, everywhere was uncrowded. What did you think when you saw these pristine uncrowded waves and beaches turn into a crowded culture? It didn’t instantly become like that, this was a gradual shift that happened slowly. It was a bit like Avalon; when we first came here it was very quiet, now you can’t park anywhere. So it didn’t happen overnight, there were just more and more people and everyone would let you have a wave, you’d make friends. Then surf shops started, very slowly too; one here, one there. You never thought that would happen – if you jumped ten years you’d think ‘wow, I never thought this would happen’ or ever for that matter. What held the sport back a little bit, I think, was the behaviour of a lot of the surfers in those earlier days; the drugs and the anti-social stances taken, people didn’t want to be involved, to be associated with it. Now there’s police sergeants and lawyers, judges – they all surf. It’s a good lifestyle, for sure. In those days too, there was no skin care, no SPF protection, you wanted to go as brown as possible – you didn’t want to use the coconut oil to bake while you surfed as you’d slip off your board, but on the sand, they were frying themselves! When did you move to Avalon? In the early 1970’s. it was quiet, there were a lot of people here but a lot didn’t want to live at Avalon, they didn’t want to go north of the Bilgola Bends. That created a village atmosphere, the Bends were a cut-off point – we’d jokingly tell people who would come form the south to bring their passports with them to gain entry. It was good fun. We moved here, the main reason, was affordability – we could afford it. 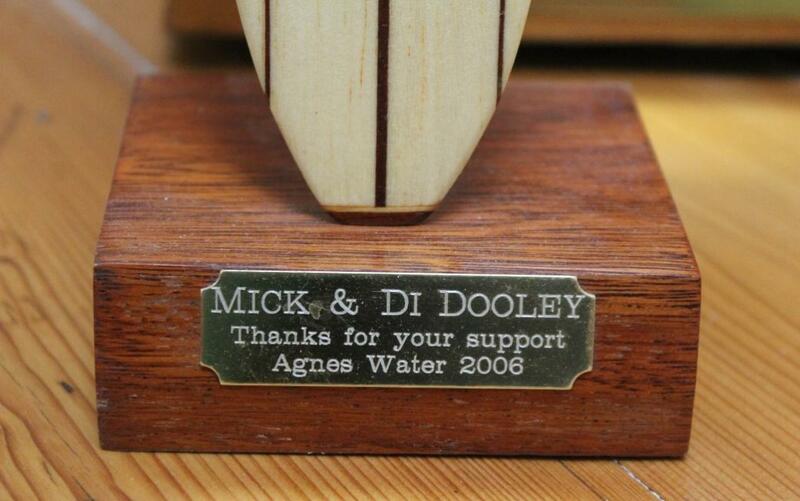 You were awarded a 2007 Australian Surfing Hall of Fame Award Recipients – The Lifestyle Award, Commitment to the Surfing Life - So a lifetime of surfing – what has it given to you? Well, it gave me recognition which allowed me to pursue a career which complimented and helped what I wanted to do. It has given me fitness, although by not surfing anymore my fitness has deteriorated. It’s given me some great memories of course, the places I’ve surfed and seen. Being amongst all those early board makers, that was like a community that was a great experience to be part of. You never went off with your tennis mates for a surf and a camp for the weekend – surfing was and is a community. You were also competing against each other, sometimes unknowingly, so you were always trying to be better than Joe Blow and that made you better in all other areas of your life simply through getting into the practice of striving to do better, to be better. 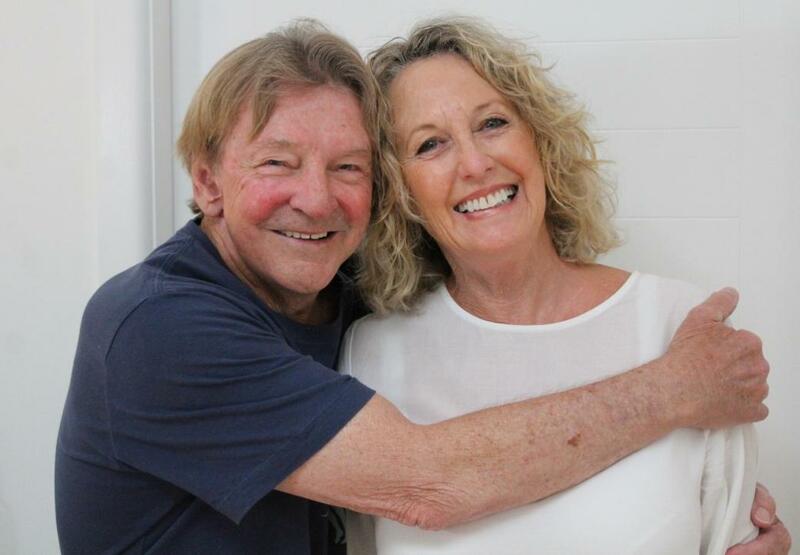 While Mick Dooley had a career path as an elite tennis player in the era of Fred Stolle Ashley Cooper and Roy Emerson, it was the summer of ’58 that saw Mick’s passion for surfing take him on a new journey. That journey included surfing around Byron Bay when there was only one house at Wategos Beach and land was going for 600 pounds for a block. There were the days when he surfed the Pass for a week at 3 to 4 foot with no-one else out in the water or on the beach. He moved to the Gold Coast in ‘61 but ‘64 was by far, his most successful year as a competitive surfer where he took out the Bells Beach Classic, was runner up in the Australian Championships and was a finalist in the first World Championships at Manly Beach. His eye for detail had him working for many of Australia’s early manufacturers including Barry Bennett, Gordon Woods and Scott Dillon. He is now retired but lives in Avalon Beach on Sydney’s northern beaches with his wife Di. He has three stepchildren and he still makes a few boards for friends. So who were your favourite surfers then – who were you looking at and thinking; I’m going to try that out? Well Midget of course, and Nat Young – I was runner-up to both those guys so of course I learnt from them. Robert Kenneally was very good, he was younger than me. He won Bells in 1965. He was the Australian Junior Champion in 1964. Bluey, because Bluey was different; he came from the Toothpick era so he had a different type of style, but he was very wave knowledgeable, ocean knowledgeable – so he gave me a lot of his knowledge about the ocean. There were also a lot of older guys whom I met through the South Bondi Boardriders Club who were professionals in their jobs and that extended to their attitude, so being around them meant you also soaked that in and took it on board. They all had proper jobs and would only come on their day off. So you could mix with the older generation and that was good – it gives you a sense of something concrete, and getting on with it and balance. There weren’t many of my age, they were either older than me or much younger than me. The younger ones were a little bit gung-ho and the older ones steady as she goes – so great influences. Some of the older guys hadn’t grown up with youth in their surfing, so when you’re older and you start with a new sport it’s hard to get a muscle memory for that sport. But they were fun to be with, and they were gentlemen, true gentlemen. They of course came out of WWII, and some of them would have influenced me with that service that shows in that generation. I know Bluey Mayes served in the Merchant Navy. I remember riding one of those Ockanui boards at north Bondi which, at a certain time of the day and a certain time of the year is just great – it’s protected from the nor’easter, it was glassy, about this big. I was paddling back out and a guy fell off one of those boards and it came in sideways and I couldn’t get out of the way. It hit me right in the middle of the back. It was John Konrads, a very famous swimmer – I recognised who he was. So that’s a word; recognition – I get recognised now, and then. Whereas if I’m playing tennis no one recognises me or would have; I wasn’t good enough. I was in the circle of people that were getting good but when I started surfing I gave the tennis away. But Midget and Nat would be the standouts for me. You were then in the circle of people that were ‘getting good’ at surfing though? Sure, but I found that community, that all surfing group, a better environment. It was much more relaxed, much healthier and we strived as individuals rather than being told to excel. Were there any phrases you used then our younger readers may not be familiar with? What was a ‘meat pie’ for instance? A ‘dog’s eye’. ‘Stoked’ was one we used a lot – that was a very familiar terminology used then. If it was really good it was ‘super-stoked’. I’ve never heard anyone say ‘super-stoked’ since. ‘Stoked’ has sort of gone from the surfing lingo now through everyday use. ‘Cowabunga’ was another surfing term of then. That has been renewed through some Ninja Turtles or something. What I remember most is that time still has a wonderful feeling about it for me – it as really good and great things were happening and being done. The only negative for me was the behaviour of some, not all, but some, that did damage the image of surfing. What we who weren’t any part of that found, or experienced, was that we would get singled out and targeted as though we were part of that drug/anti-social stance when in fact we were the opposite and roundly spoke that. It was just disappointing really and took some time for it to recover from that. So you’re a grandfather now? Yes, I have three grandchildren; 11, 9 and 6. I think, and maybe every grandparent is like this, if they stay on the right track they’re really going to be ok.
North Avalon, on a nice Summer’s afternoon, that’s a very nice place to be then. Pittwater, near the boathouse in a nice nor’easter; I used to windsurf there a lot. I’ve had some very pleasant moments there. I can remember a catamaran sitting on the sand and the tide had come in and the sails were still up. The people weren’t with it and it just floated off and went way out. So I sailed out in front of it, jumped of my sailboard, waited for it to get to me, got on it, and sailed it back. They then sailed me out so I could get my sailboard. So Pittwater, in that area. I think Pittwater in general is very beautiful. I think going up to the Lighthouse is pretty good too; on a nice day it’s a beautiful view. I took my sister up there, she lives in Dallas, Texas, and she was so impressed. It was a beautiful day, no wind, she loved it. Enjoy life. It’s too short so don’t waste it. If you have a passion, go for it! Don FERGUSON (1930). Olympics 1936.
and Tony Trabert, were accompanied by Frank Shields (manager-captain), and the official coach, former Davis Cup player Jack Kramer. The other member of the team, 18-year-old Hamilton Richardson, is expected to arrive by plane to-day or tomorrow. Richardson has been playing in Japan. Frank Shields, 6ft 3in former Davis Cup player and Wimbledon finalist, said: "It is a good team and I have every hope of taking the Davis Cup back to America. "The late inclusion of Ted Schroeder, who playing a big part in the United States beating Australia in Melbourne in 1946, will give a great mental boost to the team. .
Kramer said it was a well-balanced team. "Schroeder will be a tremendous help to à team of young players eager and ambitious to win the cup back for the United States," , he said. "Tony Trabert is a really good player, who could im-prove sharply after some tournament play in Australia "
The team had a private reception at the hotel.
. Picture - Page 3. SYDNEY : Australian tennis selector Don Ferguson will be the new L.T.A.A. president when Sir Norman Brookes's resignation takes effect next year. Sir Norman announced last night he would not seek re-election next year. The move came as no surprise, as it had been freely discussed in tennis circles for the past year. Sir Norman intends remaining an Australian selector. Mr. Ferguson's election will mean the retention of Australian tennis headquarters in Melbourne. Mr. Ferguson, a Melbourne resident, represents Tasmania on the L.T.A.A. council. He has had wide experience in tennis, having been an A-grade player. He was L.T.A.A. honorary treasurer for a period and a selector for several years. He is senior L.T.A.A. vice-president. 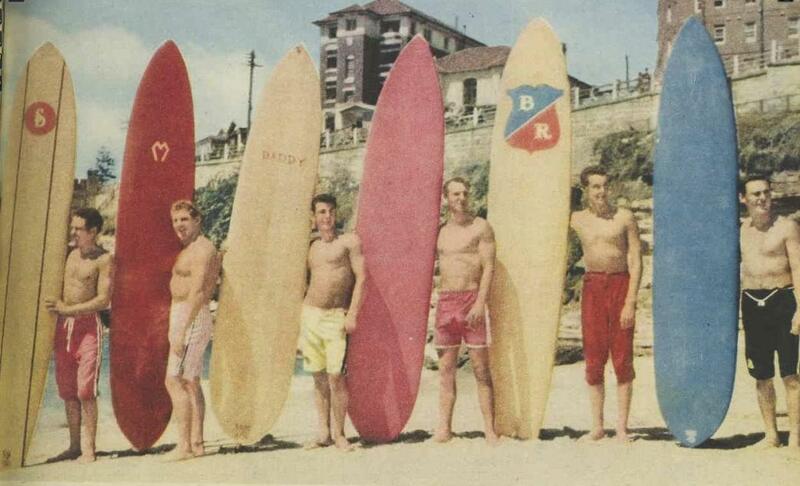 In 1956 Five American lifeguard-surfers; Tommy Zahn, Greg Noll, Mike Bright and Bob Burnside brought their Malibu Boards with them, demonstrating the union of balsa and fiberglass to a country still riding Blake-style hollowboards. Riding between Avalon and Torquay, the Americans got the attention of surfers in the area, inspiring the sudden switch from hollowboards to these style of boards.